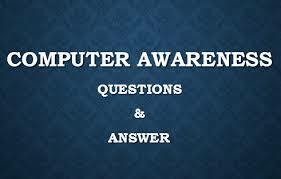 Very important questions Computer Awareness for Bank PO, IBPS, Bank Clerical And Date wise 16-09-2017 questions for bank exams, very important computer-related questions for Bank PO, SBI PO, IBPSRAS, IAS, UPSC, RPSC, 1st, 2nd, 3rd Grade Teacher, REET CTET, LDC, SSC CGL, Rajasthan Police Delhi Police Related Study material And All competitive Exams and Most expected Computer Question Papers with answers.These Questions are most commonly asked in Other Banking Exam. सारे कम्प्यूटर में लागू होती है? Question (4). Which Bhabha Atomic Research Center is a Super Computer Project developed? कौन-सी भाभा परमाणु अनुसंधान केन्द्र द्वारा विकसित सुपर कम्प्यूटर परियोजना है ? कौन मस्तिष्क की कार्य प्रणाली की नकल करने वाला सबसे तेज गति वाला कम्प्यूटर होगा ? Question (6) A popular windowing interview was released by Microsoft Windows-3? एक लोकप्रिय विंडोइंग इन्वार्मेन्ट विन्डोज- 3 माइक्रोसॉफ्ट द्वारा निर्गत की गई? Question (7).What is the word related to spam? स्पैम किस विषय से सम्बन्धित शब्द है? Question (8) According to an estimate, 70% of the world’s population will be reduced to the cities, which year? एक अनुमान के अनुसार विश्व की 70% आबादी जिस वर्ष तक नगरों में सिमट जाएगी, वह है? Question (9) What do the files often say? फाइल को अकसर क्या कहते हैं? Question (10) What is a group of mutually related records? परस्पर संबंधित रिकार्ड के समूह को क्या कहते हैं?